The Normans were so tough that they smashed up the savage Saxons and grabbed Britain for themselves! Remember: King Harold said he would defend Britain to the death… until William the Conquerer gave him an arrow in the eye! Yuck! 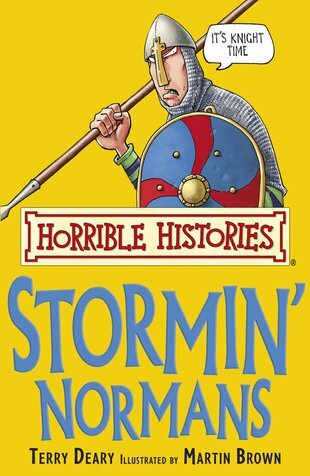 But even though they defended their battleships with fearsome barrels of pee, the storming Normans had a soft side too. Learn about the Norman knights who slept with a dolly… and see which perilous pirate hung up his eye-patch and became a saint.